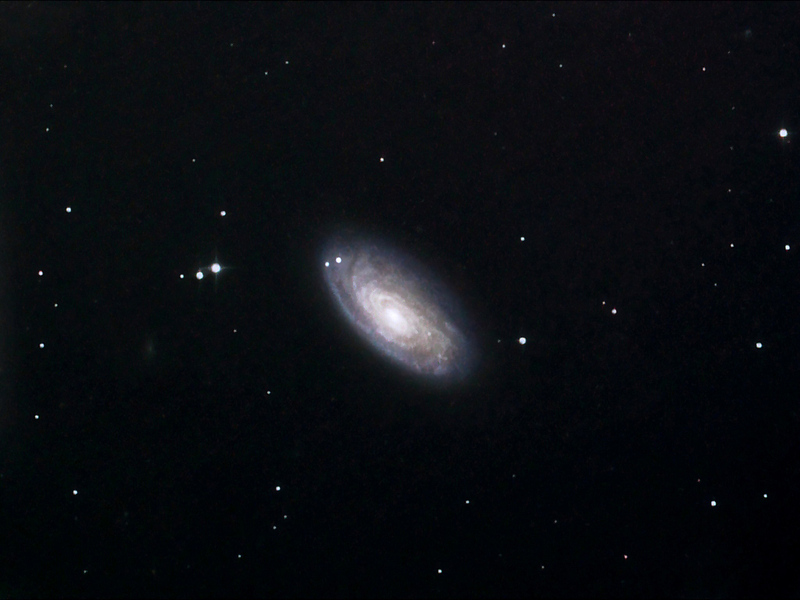 The next imaging opportunity had me returning to M 88 which I had aborted a few evenings ago when the guiding was troublesome. This time I was able to get a good set of subs in a sky that was continually improving as the session progressed. By the time I finished the transparency was very good and probably the best I had seen it in a long time. In Coma Berenices M 88 is quite a bright galaxy compared to others in the region, (just visible to the left is PGC 169494). Details: 10" f4.3 Newt. 15x 10minute exposures @ iso1600 with CLS in DSS, FIV, CS2 & XAT.